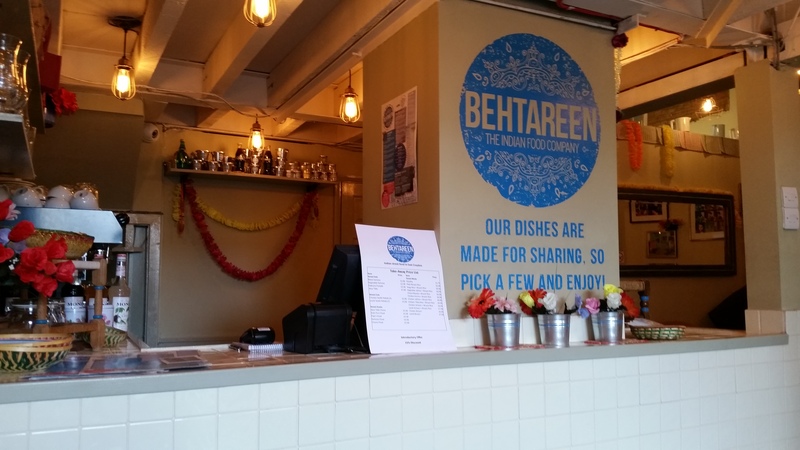 Behtareen is a funky new Indian-style cafe in Dingwall Road which is just down from East Croydon train station. 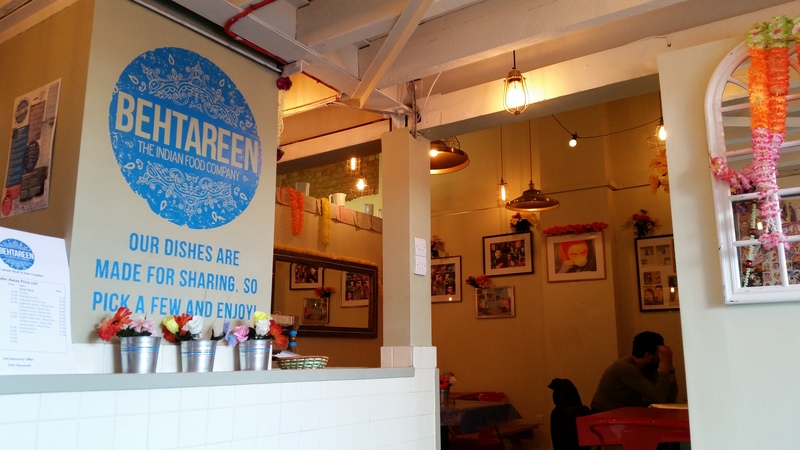 At the risk of sounding Tolkienesque, you will find Behtareen next door to Zabardast! The observant souls amongst you will probably notice that the cafe and Indian sandwich shop are both owned by the same people! Simply put, there are times where I **NEED** curry and have become something of a regular to Zabardast since it opened in 2014 (fueling my Seekh kebab roll addiction on a Friday!). 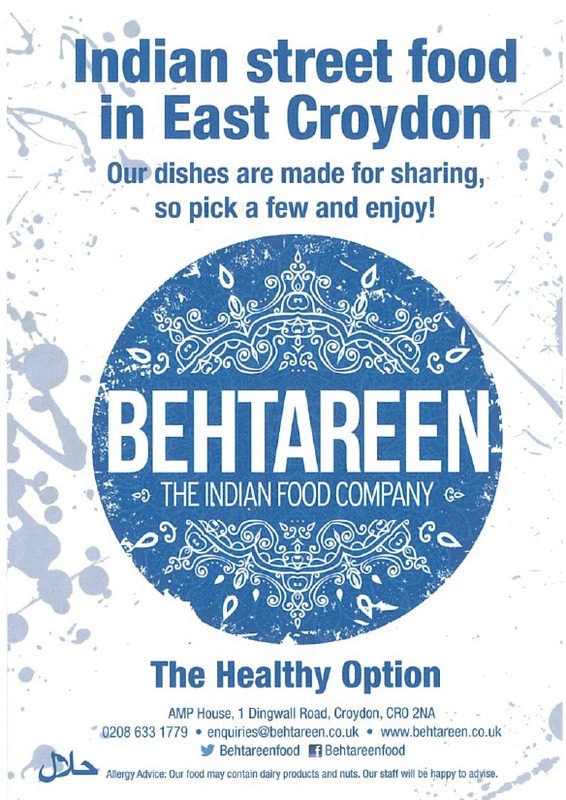 Therefore, I was overjoyed when Bethareen sprang up because Croydon has been lacking a decent Indian cafe since ‘Spice Cafe’ left Surrey Street many moons ago. 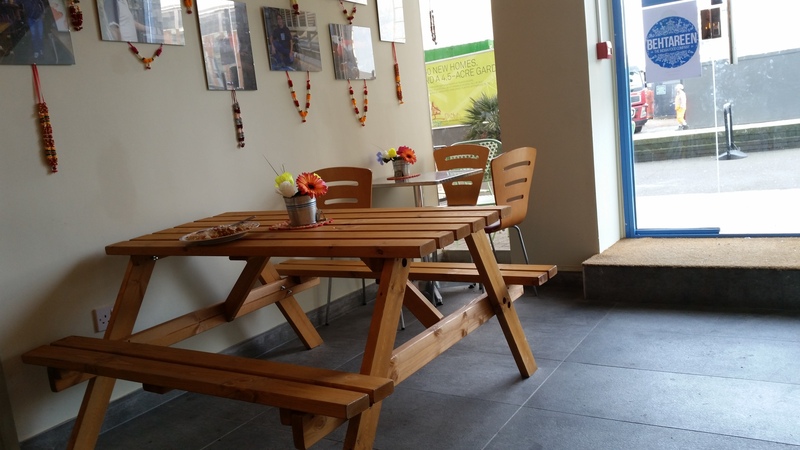 Inside, the cafe’s decor is visibly very bright and clean with park/pub bench style tables; if you look around, you’ll also notice a load of Indian ‘stuff’ in frames up on the walls. I’ve only used the very swift take-away option so far (they conveniently have a card machine for payment! ), but I took the time to observe the friendly table service whilst I waited for my food and have vowed to sit in there in the near future. So far, I’ve tried the lamb biriyani, tandoori paneer and paratha; all of which were very tasty and reasonably priced!!! Anyway, give it a whirl sometime! Antikrish recommends! 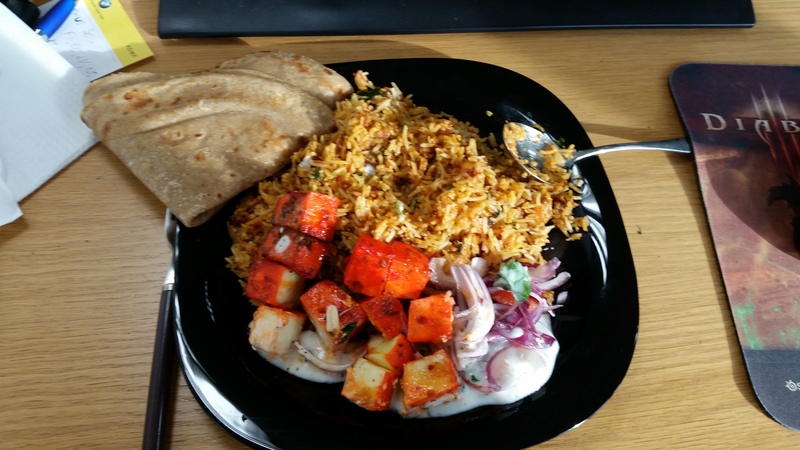 This entry was posted in Anglo-Indian, Food and tagged behtareen, cafe, curry, dingwall road, east croydon, Indian, street food, zabardast on March 10, 2015 by Kevin.